Find out exactly what Boiler Plus is and how you’re affected. Boiler Plus has been introduced to increase the efficiency of homes across the UK by stating that all gas boilers have to meet certain requirements. Whether you’re an installer or a homeowner, installing a Combi boiler that doesn’t meet the Boiler Plus legislation could see you end up with a hefty fine. What Will Happen to Installers who Don’t Comply? Installers who fail to install boilers in line with these new Building Regulations will be breaking the law and could be prosecuted by Building Control. 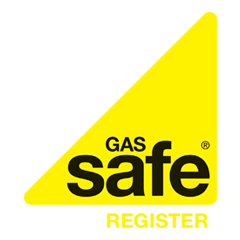 The Gas Safe Register can also refer safety concerns to the HSE (Health and Safety Executive). Invoicing a customer for work which they claim to be legal but is not is also to be considered fraudulent under Trading Standards. Find out why Boiler Plus has been introduced below. What Will Happen to Homeowners who Don’t Comply? Homeowners who knowingly allow non-compliant work to be carried out could face prosecution and fines of up to £5,000. To ensure that your new Combi boiler meets the Boiler Plus regulations, you’ll need to know exactly what needs to be included within the unit. What is a Flue Gas Heat Recovery? A Flue Gas Heat Recovery (FGHR) is a device designed to improve energy efficiency of the boiler by recycling the heat from the flue gases which would usually be lost into the atmosphere. Instead this heat is used it to preheat domestic hot water. Weather compensation devices enable the boiler to read the outside temperature via a sensor so that the boiler can adjust the temperature of your heating accordingly. Load compensation measures the response of the heating system and adjusts the flow temperature based on what is needed to reduce fuel consumption. Why has Boiler Plus Been Introduced? The main motivation behind the change is to phase out inefficient boilers and reduce carbon emissions in line with targets set by the EU. It forms just part of a wider plan known as the Government’s Clean Growth Strategy which aims to combat climate change and provide UK homes with greater comfort and lower energy bills. This legislation is designed to help the UK meet the carbon emissions targets by 2020. More than £2.5 billion of Government funding was designated towards lowering carbon emissions for the period 2015 – 2021. Greg Clark, Business and Energy Secretary, said: “This Government has put clean growth at the heart of its Industrial Strategy to increase productivity, boost people’s earning power and ensure Britain continues to lead the world in efforts to tackle climate change. Improve the energy performance standards of privately rented homes to Energy Performance Band C by 2030.